A work of art on your ears! 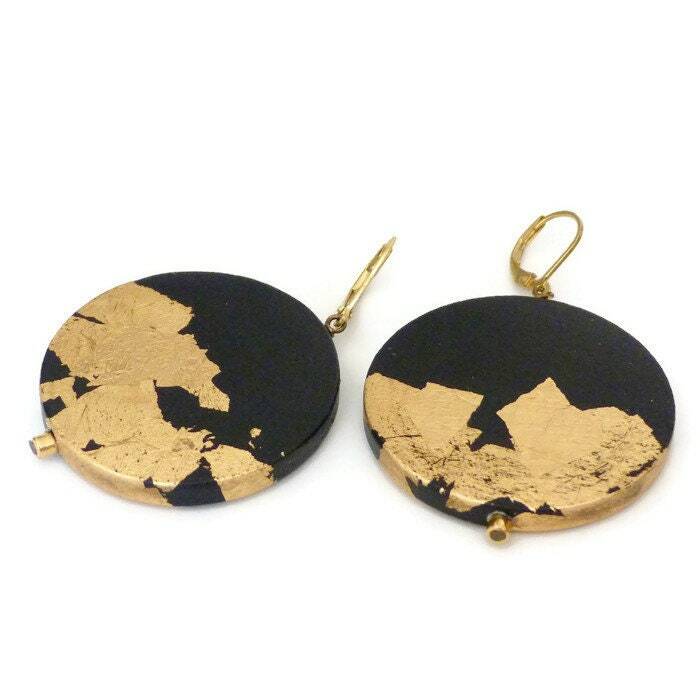 Unique earrings made with a round wooden piece hand painted with black acrylic paint and decorated with gold leaves. Brass lever back hook. They have received many coats of matt water base varnish. 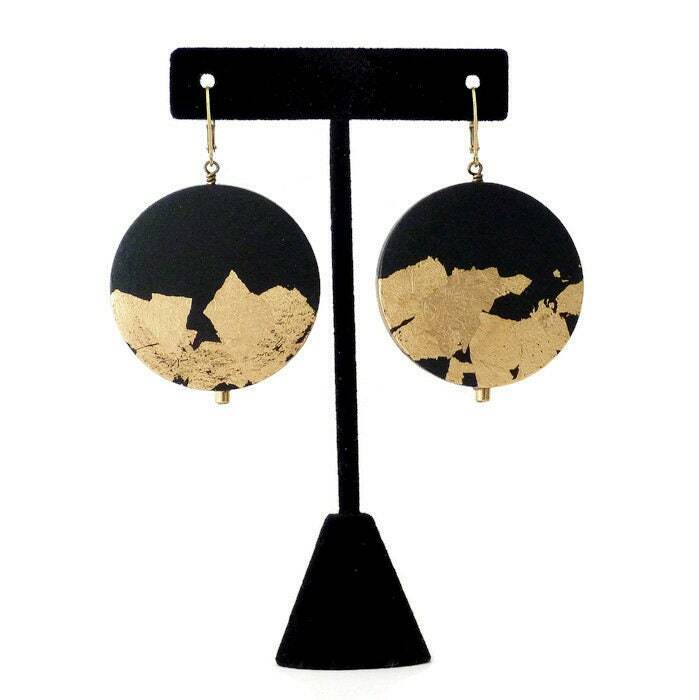 From my Eclipse collection, these wonderful earrings with bring originality and style to any outfit! Wear them all year long, with jeans and a warm sweater, with a pant suit or with a little black dress... 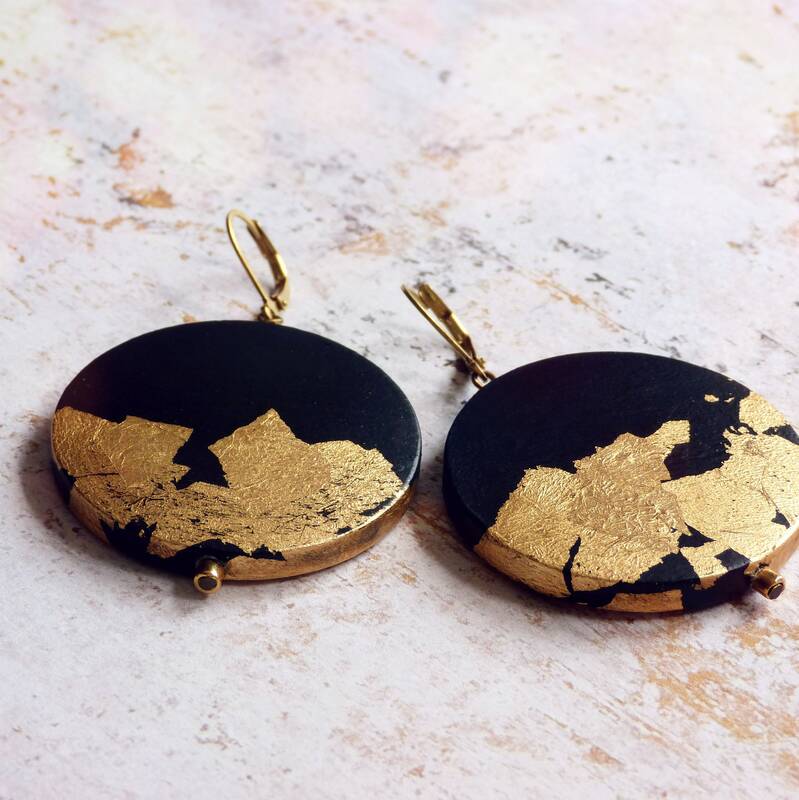 They will make a great gift for a woman who loves unique accessories! 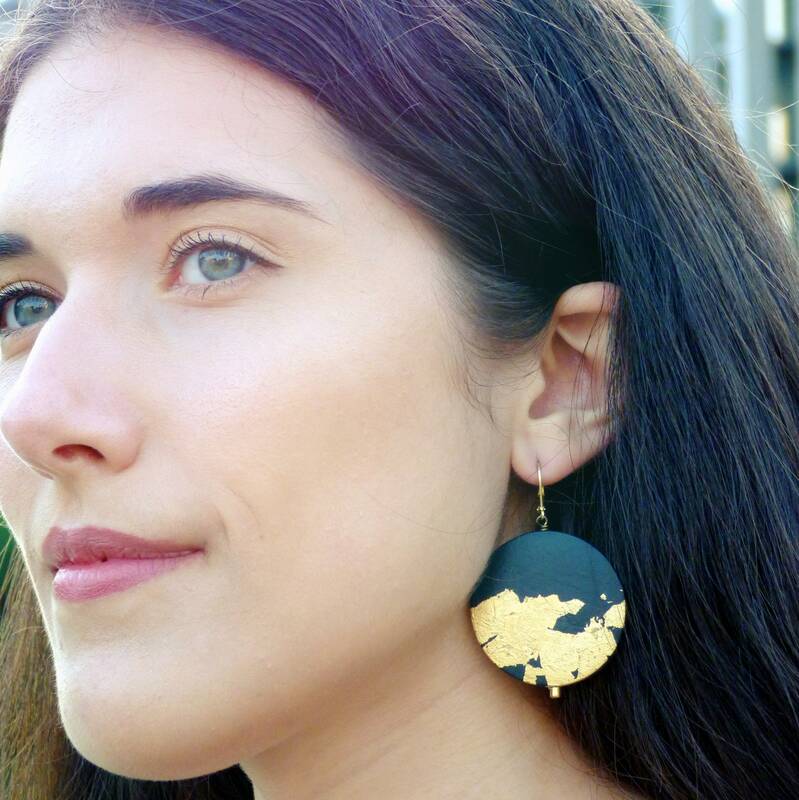 Each earring is unique and is like a small abstract painting. The pair you will received may not be exactly as the earrings on the pictures but they will be very similar. Please keep these earrings away from water. However, they can be delicately cleaned with a slightly wet soft cloth. 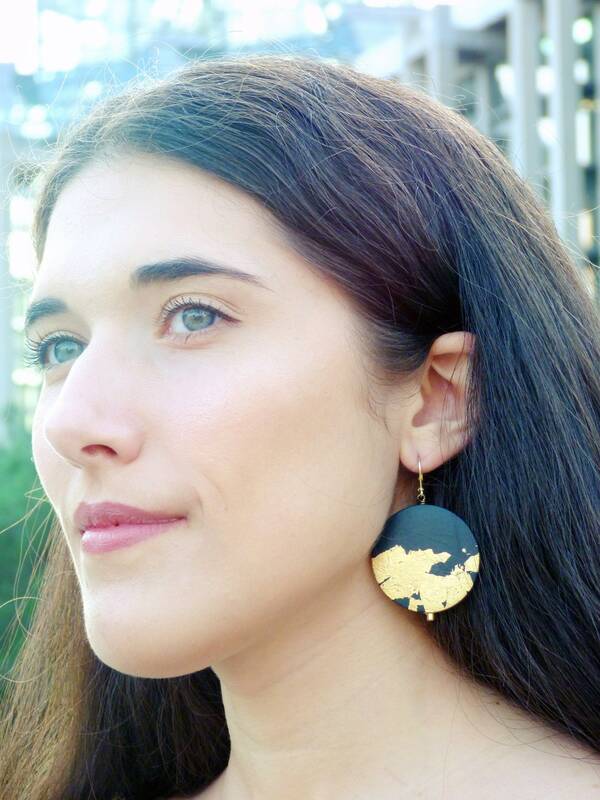 Original and unique hand painted earrings.